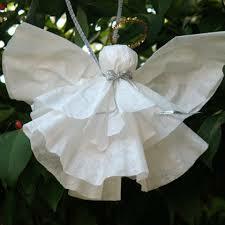 We all need reminders of our Guardian Angels and their roles in our lives. To celebrate this day in the past, I’ve made biscuits using an angel cookie cutter. We’ll have these biscuits for breakfast with our Southern sausage gravy if it’s a weekend or for a week day dinner with chicken and biscuits. What better reason to have a delightful dessert with an Angel theme. Let’s use that angel cookie cutter for some cookies! It's fun to make everyone in your family a Guardian Angel Cookie—even extra angels for extended family and friends. 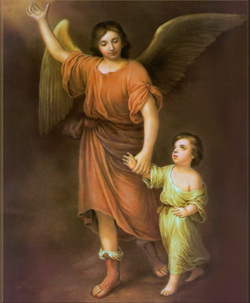 "Angel of God, my guardian dear, to whom His love entrusts me here, ever this day [night] be at my side to light and guard, to rule and guide. Amen. Decorate with lots of angels.There are some easy ones that can be made out of paper plates or coffee filters.I try to put lots of these on the table to remind everyone that we are surrounded by our angels. 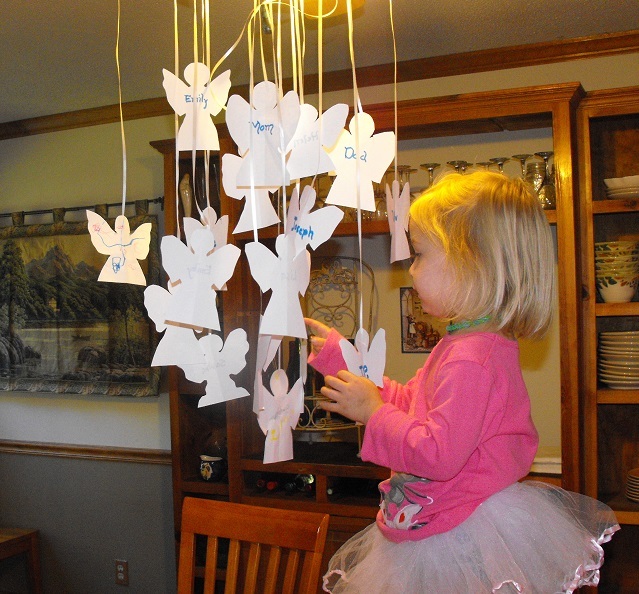 We made a simple cut-out angel for every family member.